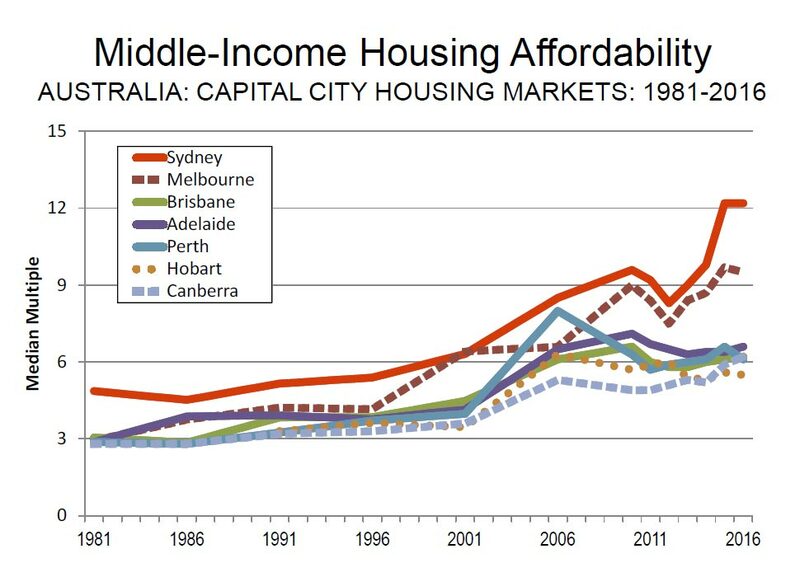 Australia has a major housing affordability problem in Sydney and Melbourne, and to a lesser extent in Brisbane and Hobart, but there is no magic solution, so we need to literally move to the country. The problem is very simple, there is too much demand to meet supply. In addition, we have huge amounts of foreign investment in property from Asia, very lucrative tax measures to encourage the purchase of investment properties, and interest rates are at an all-time low. The result is that those who have property will have the means to acquire more and those who cannot get into the market will be further shut out. We are in danger of creating a permanent class of landlords and renters. There is no magical solution to fix this. Allowing young people to use money from their superannuation for a deposit will only increase the number of people in the market, push up demand, and increase prices. Reducing tax incentives to invest in property like negative gearing will probably have some impact, but will not deter all investors, and will at best slow rather than reverse price growth. The problem is supply, supply, supply. The solution is that Australia needs to regionalize. We need to move government, infrastructure, and businesses to regional centers. The Federal and Victorian governments are thankfully leading the way on this by re-locating some government offices to regional centers. In the eastern states, numerous towns are clearly good candidates for a major boost of government offices and infrastructure. If there is a solution to the housing crisis it is this, stop thinking Sydney and Melbourne-centric, develop the regional centers, move government offices, create infrastructure, businesses will follow, developers with them, and growth will be more evenly spread out across the nation. Photo from Digitial Finance Analytics Blog.